Obviously some iPad freshers have no idea on how to download movies to iPad tablets. Most iPad users would know how to download movies on iPad tablets. This guide would show you how to download movies to iPad. You could also learn how to transfer movies to iPad from computer. Also, you could make other movie apps on iPad to directly download movies on iPad. It should be noted that videos purchased or rented through iTunes are found in the Videos app on the iPad. Rentals expire after 30-days, and once you start watching, you need to finish in 24-hours, so don’t hang around. If you have not found the movie you want to download on iTunes Store on iPad, you could download movies to iPad from computer with professional movie downloader apps. Leawo Video Downloader enables you to freely download movies from various movie websites like YouTube, Veoh, VEVO, etc. Here we would like to take YouTube for example to show you how to download movies to iPad on computer with this movie downloader app. Download and install Leawo Video Downloader on your computer. Then launch it. 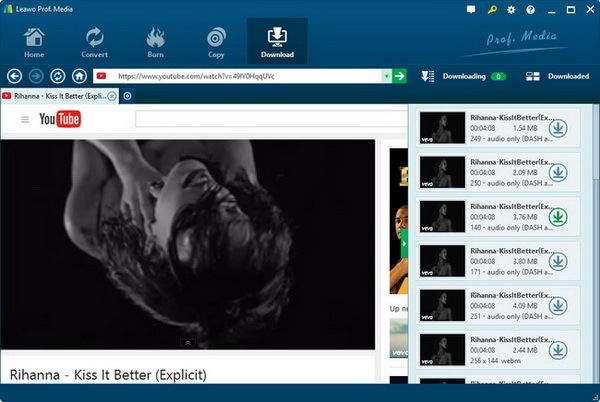 Open Leawo Prof. Media and click "Download" at the top to enter the Leawo Video Downloader. Paste the URL of target movie into the address bar. On the top right corner, tap on the gear icon and then click Settings > Downloader to set the target output directory. You need to set output directory in the "Save videos to" box. 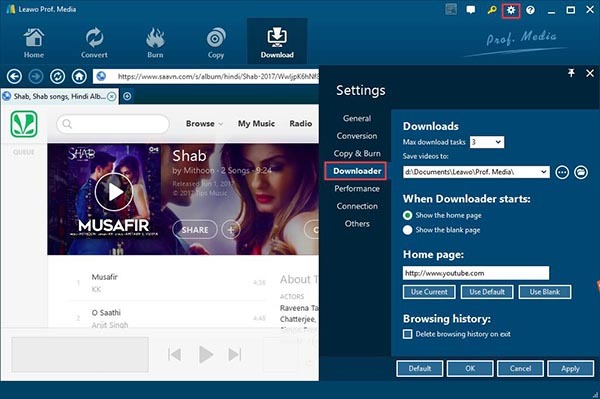 Once the movies are displayed on Leawo Video Downloader, you could see multiple options for you to download. These options are in different sizes and resolutions. Choose the one that meets iPad and then click the download icon. Once you click the download icon, Leawo Video Downloader would start to download movies for ipad. You could open the "Downloading" tab to see the downloading progress and "Downloaded" to see the downloaded movie. When the movie is downloaded to your computer, you could transfer the movie to iPad with iTunes or iTransfer as introduced below. With movies downloaded to the computer, you could then transfer movies to iPad with iTunes. However, you should know that transferring movies to iPad with iTunes will require you to add movie to iTunes first and erase the existing movie library on iPad. Leawo iTransfer provides better solution for you to transfer movies to iPad. 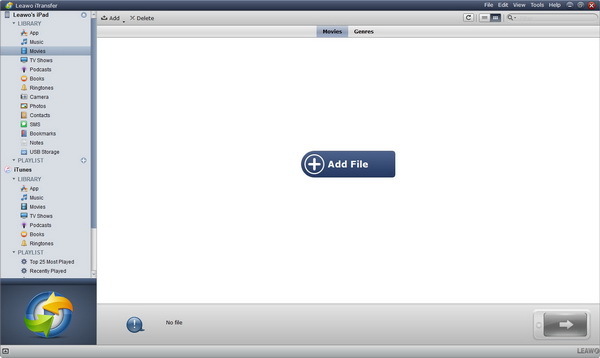 It is a versatile tool to easily and quickly transfer data and files between iPad, iPhone, iPod, iTunes and computer. Up to 14 types of data and files are supported for you to transfer, including movies, photos, apps, messages, etc. Download and install this iTransfer on your computer. The below steps would show you how to transfer movies to iPad from computer with iTransfer. 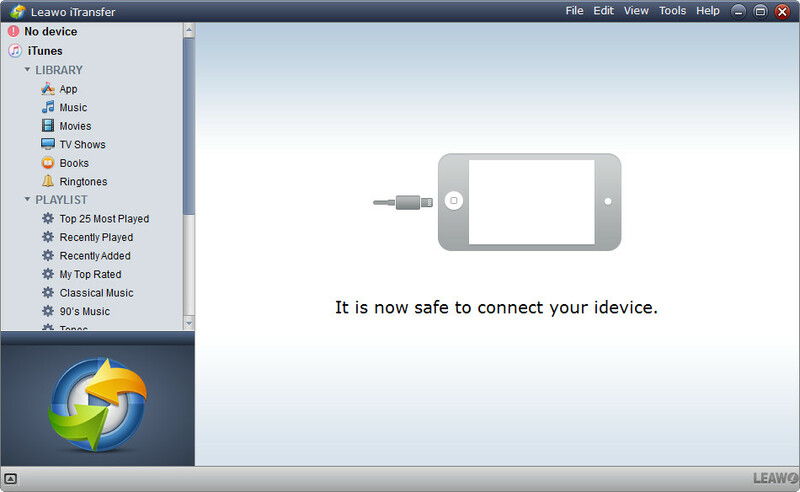 Launch the software and connect iPad to computer via the iPad USB cable. The software will automatically recognize iPad and you can see detailed information of iPad on the left sidebar. Go to "iPad > Library > Movies" tab, then you will see all movies on your iPad. To add movies to iPad from computer, click the "Add" button and then browse and add movies to iPad with this iTransfer. iTransfer would start to transfer movies to iPad from computer immediately when you finish adding movies. You could view the transfer process. Leawo iTransfer supports up to 14 types of data and files for you to manage from computer, including: photos, videos, music, contact, note, books, etc. You could transfer and manage all these data and files between iOS devices and computer. If you’re using a Mac computer, you could make use of Leawo iTransfer for Mac for iOS data transferring and managing on Mac.